"Every organization shall provide a copy of its current financial statements upon written request and shall provide other disclosures as the law may require. The financial statements required to comply with Standard 3 must be disclosed under this standard. An organization must provide a report, upon written request, including financial information on any specific project for which it sought or is seeking gifts." I have spoken openly to the world . . . I always taught in synagogues or at the temple, where all the Jews come together. I said nothing in secret (John 18:20). Therefore, since through God’s mercy we have this ministry, we do not lose heart. Rather, we have renounced secret and shameful ways; we do not use deception, nor do we distort the word of God. On the contrary, by setting forth the truth plainly we commend ourselves to every man’s conscience in the sight of God (2 Corinthians 4:1–2). It is evident from the context of this epistle that Paul speaks not out of concern for his own reputation. Rather he contrasts himself and other Christians with those whose behavior has been inconsistent with their claim to be ministers of Christ. He does not want his ministry to be marked by subterfuge, self-interest, and deceit. His ministry is displayed in so open a manner that no one can second-guess him or question the sincerity of his motives. Moreover, he not only appeals to every person’s conscience, but he does so before God. Therefore, he emphasizes a higher scrutiny than that of human conscience; namely, that it is to God that every ministry is ultimately and eternally answerable. Paul is concerned not only for his own ministry and conduct. In writing to Titus, he addresses his concern for the kind of ministry Titus should exemplify. that cannot be condemned, so that those who oppose you may be ashamed because they have nothing bad to say about us (Titus 2:7–8). Titus must show incorruptibility. He must do so in order to keep opponents from pressing formal charges against him or spreading malicious gossip about him. Because of his irreproachable conduct, he can completely disprove any insinuations or accusations aimed against him. This is even more important when the accusations and antagonism are directed not against Titus as an individual, but as a disciple of Christ and, therefore, against Christ Himself. Financial disclosure is not only an accepted, expected, and required form of accountability in society at large, but it also represents the even higher standard of openness for Christ-centered organizations. It may be true that public disclosure of financial information is required, in part, to protect the donor public. While this is the reason most often given to justify governmental regulation, the reputation of Christ-centered ministries in general is at stake. Public disclosure protects Christian ministry from the danger of claiming ownership of God’s gifts. It also protects us from the temptation to acquire assets as our lasting goal. Furthermore, the availability of financial statements promotes responsible Christian stewardship over assets as donors seek to make monetary investments in the work of the Kingdom. The purpose of this standard is to provide adequate financial transparency between a specific member organization and its supporters, prospective supporters, or to accommodate requests from members of the media about that member organization. The standard is not intended to facilitate broad general data-gathering requests of ECFA members. Disclosure of financial statements. The standard states that “every organization shall provide” its financial statements. A complete set of financial statements must be provided, including the auditor’s report, all financial statements, and notes to the financial statements. A management or comment letter is not included in the definition of financial statements. Under this standard, an organization has no authority to determine the parameters of meeting the requirement, unless an exception later described herein applies. Compliance with this standard is a condition of continued ECFA accreditation in good standing. The words “shall provide” clearly set forth the mandatory nature of this standard’s requirement. Its language is not permissive in scope and does not merely provide a “guide” for a form of public accountability. Rather, this standard requires the organization to provide its financial statements. The use of the word “provide” in the drafting of the standard is intentional. The sense of the word is “to supply,” “to furnish,” or “to give.” Merely making a current financial report available for inspection at the organization’s headquarters or financial office is not sufficient. Restricting availability or charging a fee before providing a report discourages access. These restrictive practices are inconsistent with the standard’s underlying policy and philosophy. 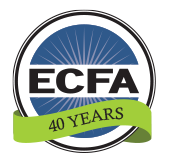 ECFA Standard 3 requires each organization to submit complete and accurate financial statements. ECFA Standard 5 requires the disclosure of the current financial statements, complete with the CPA’s opinion and notes. Summaries of financial statements contained in newsletters, brochures, or promotional literature do not satisfy the requirement of Standard 5. However, if the financial report as defined under Standard 3 is part of a larger report, such as the organization’s annual report or a book of annual reports of affiliated or associated organizations, providing such a document puts the organization in compliance with Standard 5. Widely available. Financial statements are “widely available” if they are posted in their entirety on a website that the organization establishes and maintains; or if posted on a website established and maintained by another entity as part of a database of similar documents of other tax-exempt organizations. If the organization has made its financial statements widely available, it must inform any individual requesting a copy where the document is available, including the URL address of the website. The website must clearly inform the reader that the document is available and provide instructions for downloading. The document is posted in a format that, when downloaded, viewed, and printed, exactly reproduces the image of the financial statements in their entirety (including footnotes to the financial statements). Any individual with access to the Internet can access, download, view, and print the document without special computer hardware or software and without payment of a fee to the exempt organization or the entity maintaining the website. If an individual indicates he or she does not have Internet access, the organization should provide a hard copy of the financial statements as a matter of courtesy. Harassment campaign. An organization may be exempted from the requirement to provide a copy of its financial statement if ECFA determines that the organization is the subject of a harassment campaign, the requester is part of that campaign, and compliance with requests that are part of that campaign are not in the public interest. What constitutes harassment? A group of requests for an organization’s documents is indicative of a harassment campaign if the requests are part of a single, coordinated effort meant to disrupt the operations of the organization rather than to collect information about the organization. Broad, general data-gathering request. An organization may be exempted from the requirement to provide a copy of its financial statements if ECFA determines that there is a broad, general data-gathering request for financial statements and the requestor to the organization is participating in that data-gathering request. The standard does not require an organization to provide its financial statements except on the basis of a written request. Although an organization may choose to furnish a copy of its financial statements to someone requesting it otherwise, it is not required by the standard. The standard requires that the financial statements be furnished “upon written request.” This includes those requests delivered by mail; e-mail; facsimile; a private delivery service to a principal, regional, or district office of the organization; or during a visit to an organization. Organizations are required to respond to such requests within a reasonable time, avoiding undue delay in furnishing a copy of the financial statements. If for some reason the organization cannot immediately provide a copy of its financial statements, it should inform the requester in writing as to when the requested material can be sent. The organization should then furnish the financial statements as quickly as possible. Project reporting. The standard provides that “on written request,” every accredited organization “must provide a report, including financial information, on any specific project for which it sought or is seeking gifts.” Project reports communicate project results to donors and are a further evidence of the ministry’s accountability. A “project” generally occurs when a donor places a restriction on a gift as to purpose, or a ministry accepts contributions that are solicited for a specific area of ministry, such as a program or project. Solicitation for project-related gifts may occur via fundraising events, through direct mail, Internet solicitation, by radio or television, and in other ways. Unrestricted contributions have no implicit or explicit time or donor restrictions and are available to be used at any time and in any exempt area or operation of the organization. Therefore, project reporting does not apply to unrestricted gifts. The primary responsibility for project reporting is to a charity’s donors. Any information that is shared with individuals who have not donated to a certain project may be appropriate, but it is not required as a commitment to financial accountability. That commitment is fulfilled by sharing the financial statements with all who request them. The project report should include the amount of donated income, the costs related to administering the project, and the amounts that went directly to the project for which the solicitation was held. Any unusual items related to income or disbursements should be identified and explained. Though audited financial statements provide overall financial data for the reporting period, they are not intended to provide data on specific projects. So, in addition to financial reports, project accomplishments should be shared with the donor. This may include both short-term and long-range results of project gifts. The appropriate style of the project report depends on various factors. If the donor’s request is in writing, a written response is appropriate. If the request is made by telephone, a verbal response may be adequate. Some charities may post project information on their website to reduce the need to provide written and verbal responses. If the project reporting is made “widely available” or the organization is subject to a “harassment campaign” or “broad, general data-gathering request” (see earlier discussion), the organization is not required to comply with a request for a copy of the project report. 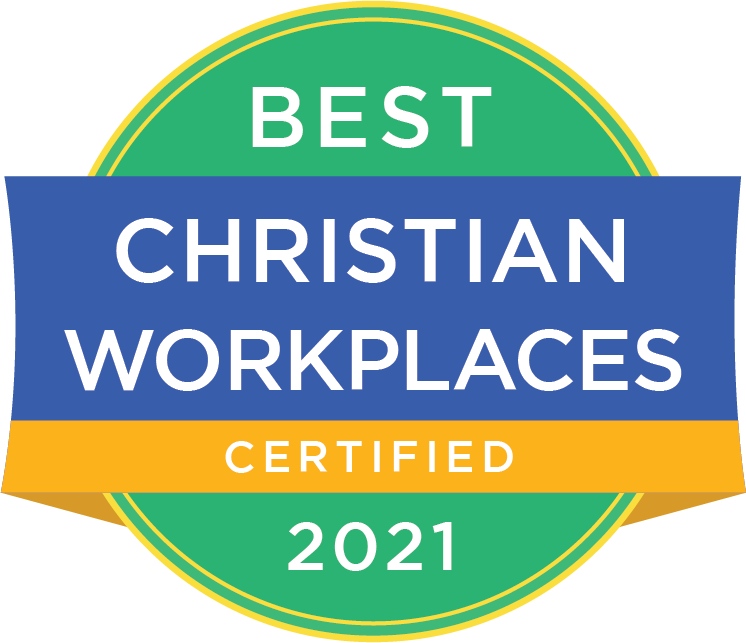 A spirit of Christian stewardship over the resources God and donors have entrusted to us, intended for use to advance God’s Kingdom (Matthew 25:14–30). An attitude of openness concerning an organization’s accountability of its stewardship, “taking pains to do what is right, not only in the eyes of the Lord but also in the eyes of men” (2 Corinthians 8:16–21). A sense of humility and gratitude for the material blessings God has provided (Psalm 136). A desire to be an example of Christian integrity. “Do your best to present yourself to God as one approved, a workman who does not need to be ashamed and who correctly handles the word of truth” (2 Timothy 2:15).